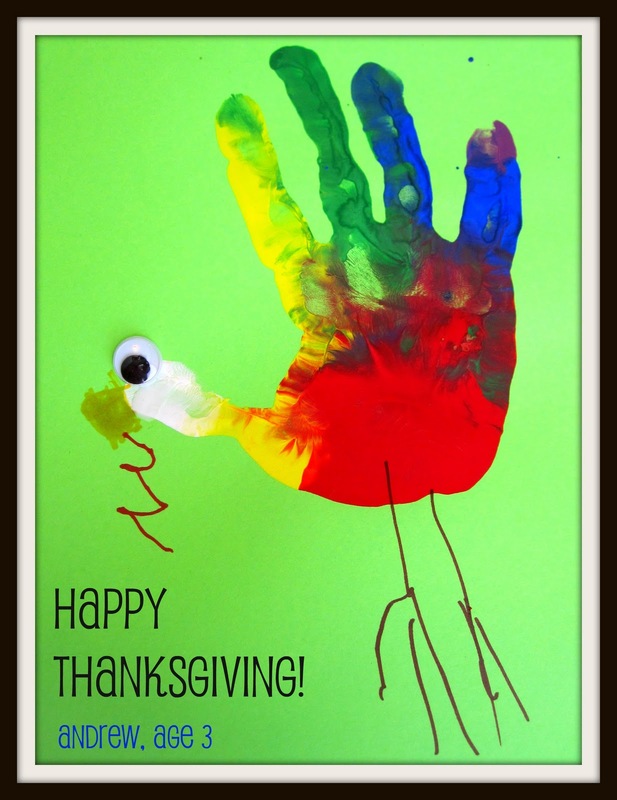 We did a little handprint baggie painting and hand painting to create some homemade Thanksgiving keepsakes this week. I just wanted to share these with you and wish you Happy Thanksgiving! We hope your holiday is filled with lots of special time with family and friends... and lots of good food!! 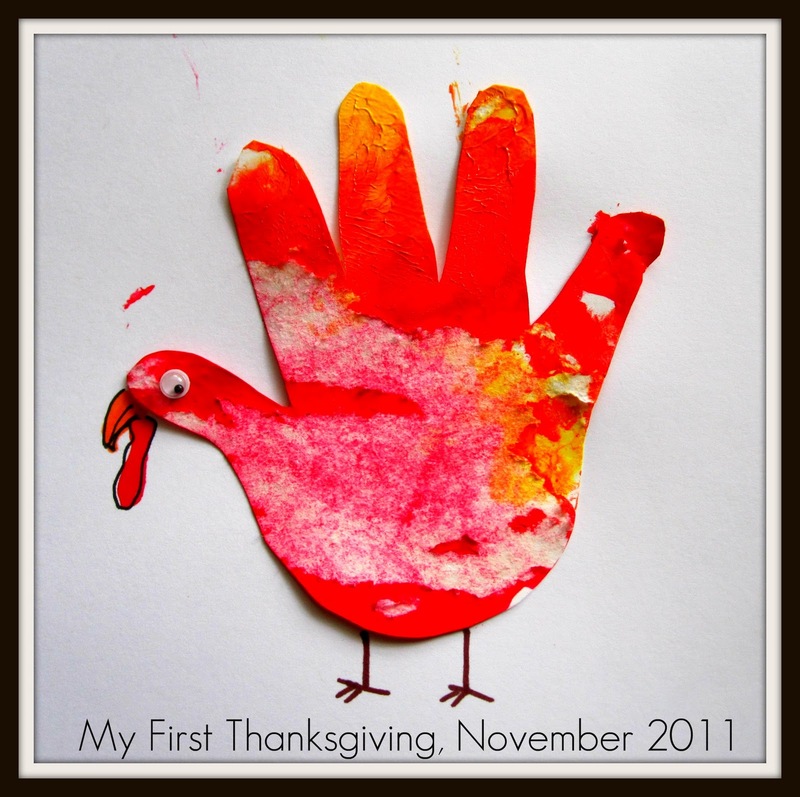 I would love to hear about any of your special Thanksgiving traditions. This year I started this new handprint turkey one. I am so grateful for those of you that stop by our blog each day and share comments and ideas. If you haven't yet, make sure to check out our Thanksgiving Edition of Why I Blog to read some other things that some of my friends are thankful for.